Blend oil, butter, anchovies and garlic in a food processor until smooth. Transfer to a heavy medium-size saucepan and cook over low heat for 15 minutes, stirring occasionally. (Sauce will separate.) Season with salt and pepper. Pour sauce into fondue pot or other flameproof casserole and set over an alcohol burner or gas table burner to keep warm. Serve with vegetables and bread. 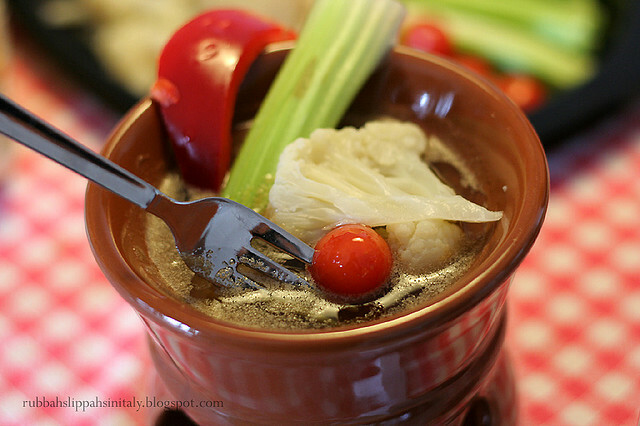 Bagna cauda, meaning "hot bath" in Italian, is a warm dip of garlic, anchovies, butter and olive oil. 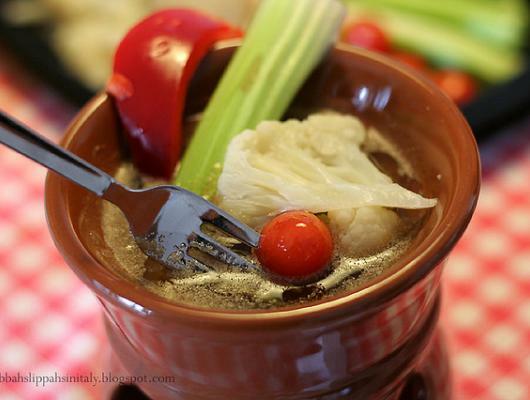 It's typically served in the colder months with bread and/or crudite for dipping.